Hello, everyone! As we are quickly moving through the last full month of summer, I find myself wondering where the past 2.5 months have went. Although the calendar claims that summer does not begin until June 21, my summer begins after Memorial Day Weekend and I generally try to fit as much into my warm weekends as possible. So far, I have had the opportunity to revamp a local park in my home town, take my third trip (yes, third) on the catwalk under the New River Gorge Bridge, take a birthday tour of the Trans-Allegheny Lunatic Asylum, and geocache my little heart out. I also had the opportunity to take a Caribbean cruise and visit Sarasota, Florida for a week but those aren’t West Virginia related so they don’t count, right? What does count though is a special hiking trip Jon and I took over July 4th weekend to a shelter in Watoga State Park. You probably know by now that my parents are largely responsible for my love and knowledge of West Virginia, as they began taking me on trips when I was six weeks old. My mom tells me that my first trip was on our boat at Summersville Lake and I still to this day remember an incredibly vivid scene atop Bald Knob at Cass Scenic Railroad when I was five years old, screaming and crying at my Dad because I didn’t want to wear a toboggan. Yes, I was that child. Another memory? Wading in the Greenbrier River at Cass. 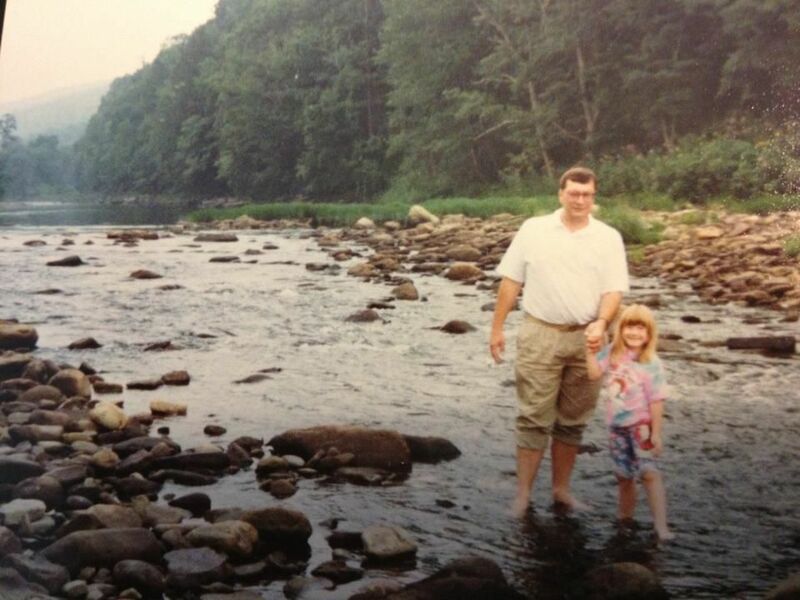 Perhaps one of my most vivid memories is a hiking trip I took with my Dad the summer of 2000. That year, I remember my mom having to work six days a week so there was no family vacation as we had become accustomed to. Instead, Dad took me on a sightseeing trip around West Virginia and it was during this trip that I was able to experience many firsts in the Mountain State — Spruce Knob, Seneca Rocks, caverns, and even seeing the Green Bank Telescope during construction. We also visited Watoga State Park and hiked one mile up (which seemed way longer to me back then) the Dragon Draft Trail located in the Brooks Arboretum area. 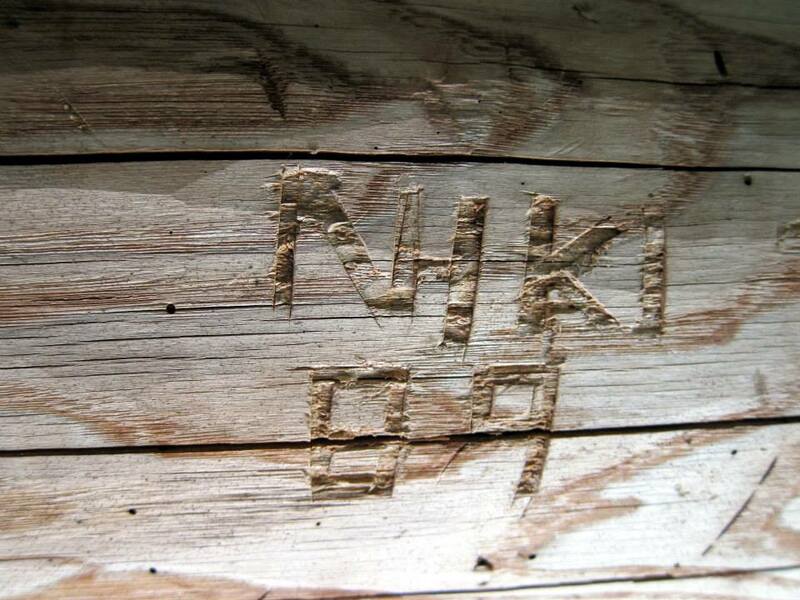 At the end of that mile was a shelter that looks fairly ordinary except that in 1989 when I was two years old, my parents carved my nickname (Nikki, spelled with one “k” at the time) and year in the rafters. Although I don’t remember that happening, it was amazing to see that it was still there 11 years later. Flash forward to this summer. Jon and I planned on hiking during July 4th weekend and I convinced him to take a trip back to Watoga State Park to see if that shelter was still there and my name still carved. To be honest, I didn’t have many hopes that it would be there — after 25 years, I figured the shelter would’ve been rebuilt or was decaying. However, once we were nearing that one mile mark, the shelter came into view and it looked exactly as I remembered… and my name was still there! It was such a rush seeing it, knowing that 25 years ago, my parents stood in that very spot and carved my name into the wood. I felt a connection with them, something different than I had before. I wanted to share this story for those of you with children to encourage you to travel with them and expose them to the beauty and life that West Virginia offers (or in your home state, if you are reading from elsewhere). These don’t have to be elaborate excursions either — just a short trip to a state park for an afternoon picnic or a simple stroll in the woods near your house (you may even find petroglyphs — we did on our property!). These are the things your children will remember and thank you for when they’re older. I know I did. If it weren’t for my parents taking me on weekend trips and exposing me to life outside our home town, my pride and love for West Virginia wouldn’t be nearly what it is today. I’ve learned many life lessons over the years from our trips and I cannot wait to share them with others, whether it is with Jon, my friends, or my future family. 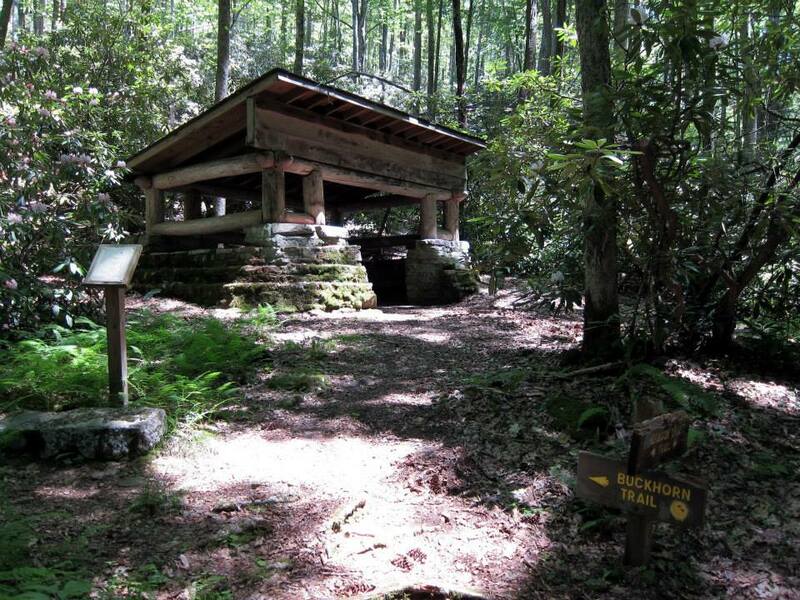 For more information on Watoga State Park and descriptions of their trails, you may visit their website at http://www.watoga.com.